Jeff and Paul Young are brothers that moved to Carson City in 1992. The brothers have always shared a close bond. The bond grew in 2008, when they found a shared passion for home brewing. 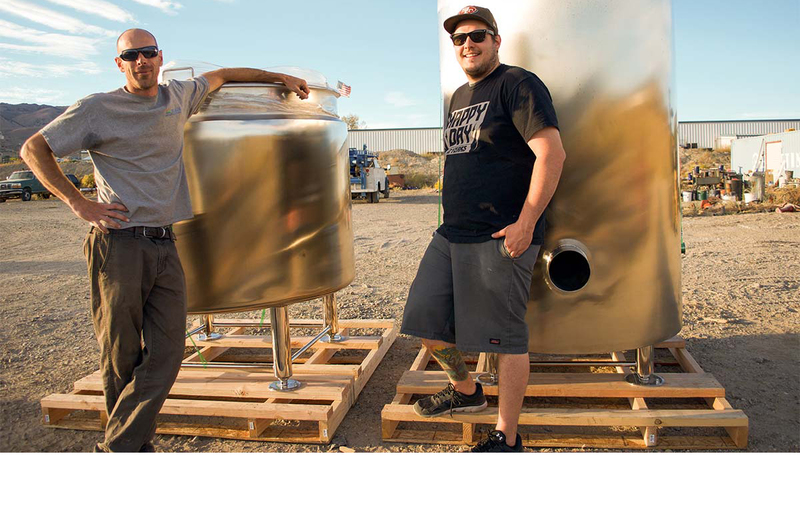 The hobby quickly grew into a dream of having a brewery of their own. They began brewing professionally at High Sierra Brewing Co., during which they won a gold medal for their Honey Ale at the Great American Beer Festival in 2013. In 2001 Jeff started a career drilling domestic water wells for Blain Well Drilling. Like many, when the recession hit, it led to him being laid off in 2010. Determined to make the negative a positive, he began volunteering at High Sierra Brewing Co. to learn more about the art of brewing. Within a month he was offered a job as an assistant brewer. Two years later he took over as Brew Master. He held this position until April of 2014, when High Sierra stopped operations in Carson City. Paul graduated from Carson High School in 2005. His senior project led him to his background in non-profit work when he decided to volunteer to mentor a young man for the Boys and Girls Club-Mentor Center. While getting his Business Management degree from UNR, he worked as Program Coordinator for Boys and Girls Club-Mentor Center. Straight out of college he began working as an assistant brewer for his brother at High Sierra. Within nine months he acquired the role as Brewery Production Manager. That position was held until April of 2014, when High Sierra Stopped operations in Carson City.